When it comes to shoes, there’s nothing quite as unpleasant as the smell wafting from the one pair you wear too often. In addition to the smell, odor-causing bacteria can also cause fungal infections and all kinds of skin issues. The UV Pro Shoe Sanitizer aims to kill the bacteria and fungus hiding in your beloved footwear with UV light, so you can protect your favorite shoes and, of course, your feet. Your feet and hands have more sweat glands than any other part of your body, according to Michael Fligil, creator of the UV Pro. And even before your shoes start to smell, the dark and damp environment that most shoes provide is a breeding ground for unhealthy bacteria. 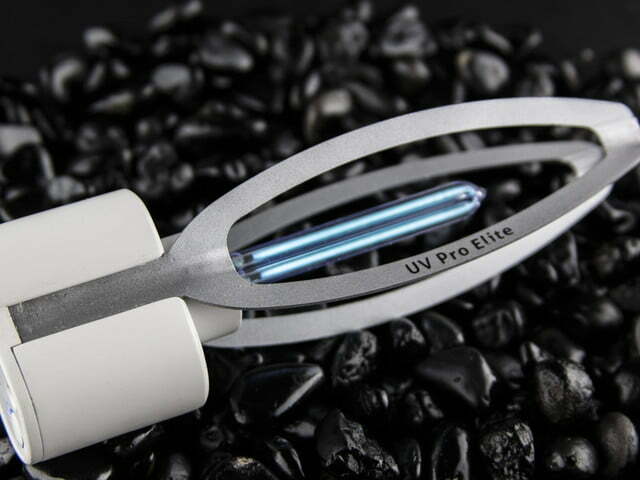 Instead of medical treatments to cure issues like nail fungus and skin disorders, UV Pro kills almost 100% of that dangerous bacteria before it can breed, spread, and stink. 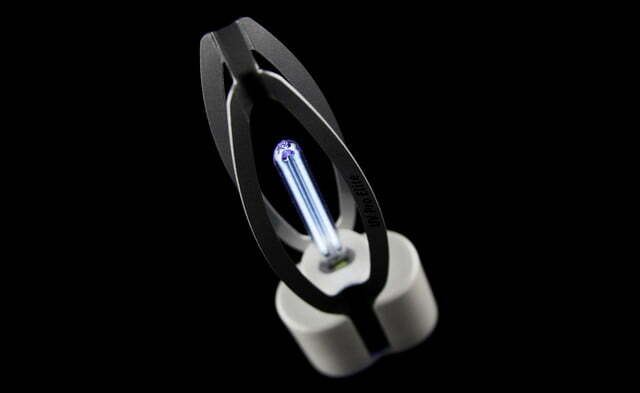 The UV-C light runs on a cycle between 10 and 20 minutes long, and sanitizes the entire inside of the shoe. In terms of versatility, UV Pro is also demonstrated sanitizing gloves and bags, which could come in handy if you wear work gloves or carry your gear around in a gym bag. There are also three settings on the UV Pro so that you can protect the materials you’re cleaning while killing off bacteria. 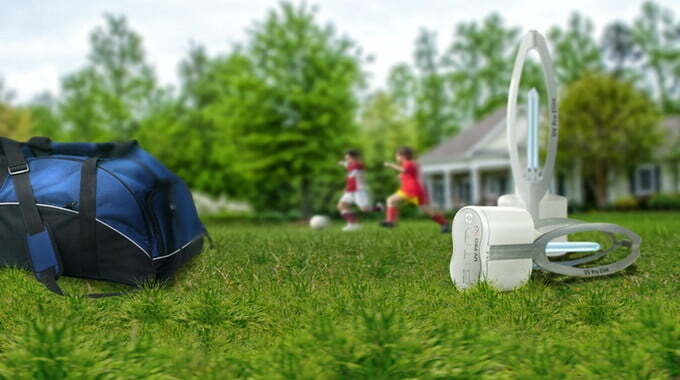 The Normal setting is a standard to clean regular-use items, Sport mode runs for 20 minutes to kill off larger quantities of germs collected during athletic activity, and the Elite setting issues short bursts of UV light so that delicate materials like fine leather don’t overheat or get damaged. 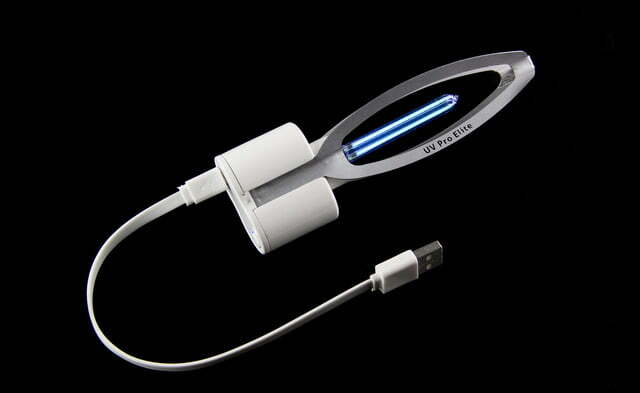 Although UV Pro is designed to be portable, you’ll have to take the base charging station with you when you travel in order to charge the device through the USB port. The UV bulb is expected to last up to 10,000 hours, so with sanitizing cycles up to 20 minutes long that’s a whole lot of use. 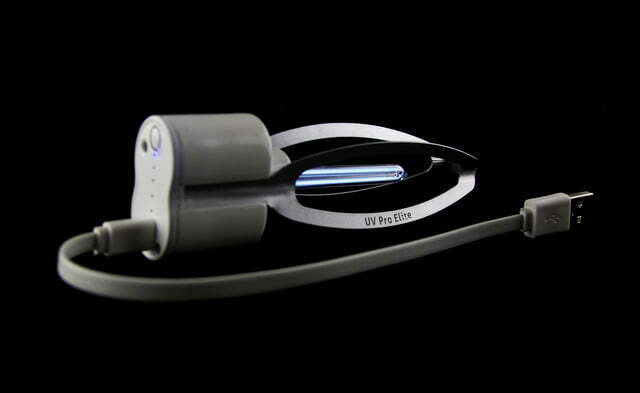 UV Pro is attempting to raise $40,000 on Kickstarter by March 17th in order to bring the device to manufacture. A pledge of $29 gets you one UV Pro unit at the early bird price, but it looks like backers will have to pledge $89 to earn the charging station reward. 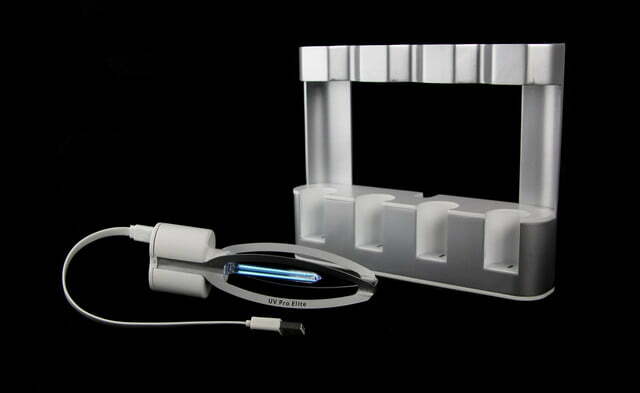 If all goes according to plan, UV Pro units will begin shipping in June of this year.